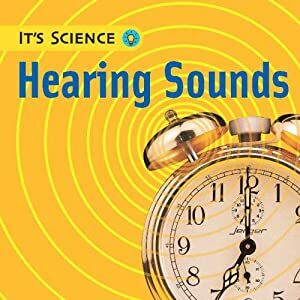 Hearing Sounds by Sally Hewitt is part of the It's Science series which "introduces children to the science that surrounds them in their everyday world." Each two page spread is it's own section the following titles - Make a Noise!, Keep Quiet!, Listen..., Loud and Quiet, High and Low,Making Music, Twang and Bang!, Traveling Sound, Sending Messages, Recording Sound. Pictures and text encourage discussion and activiy. We had a great time, and learned lots, with the book stretching it out over many days.